On Feb. 19, a consortium of oil companies led by the U.S.’s Noble Oil and Israel’s Delek signed a contract to supply the Egyptian energy company Dolphinus with up to 32 billion cubic meters of Israeli gas over ten years. The deal jolted people in the Middle East and beyond. The Egyptian public wondered why Egypt, the second-largest natural gas producer in Africa, was importing gas. Even more startling was that the deal came against a backdrop of the recent inauguration of Egypt’s huge Zohr gas field. While the leaders of both countries applauded the deal, it caused a public outcry in Egypt. Egypt has repeatedly declared its intention to become a natural gas hub for Europe. The country is located off the southern shores of the continent, which is one of the largest energy markets in the world. Europe’s domestic energy production has been in a steady decline. It is already importing a lot of energy, with increased reliance on imports to come. North Africa is one of the viable options for meeting Europe’s gas demand. Despite pipeline and liquid natural gas infrastructure that connects North African gas exporters to European buyers, Russia’s Gazprom managed to outmaneuver North African gas exporters in 2017 by supplying the largest share of imports in important markets such as Italy. Egypt’s desire to become a natural gas hub for Europe makes sense. It not only has substantial gas reserves of its own, but sits astride a major transit route for oil and gas shipments from the Persian Gulf to Europe. 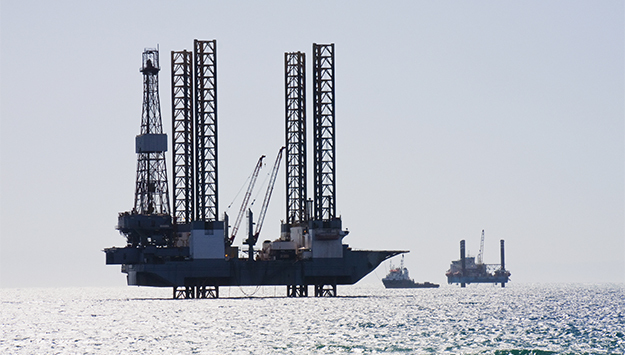 Natural gas discoveries in the Eastern Mediterranean, coupled with legislation liberalizing Egypt’s energy market, are bolstering its gas-hub aspirations. One of the new laws allows foreign companies to use Egypt’s import and distribution facilities to trade in natural gas. Rising production from domestic fields and the presence of two largely idle natural gas liquefaction plants at Idku and Damietta will enable Egypt to import gas from Israel and Cyprus, then export it to Europe and Asia. With rising domestic production and the deployment of renewable and nuclear energy to generate electricity, Egypt could develop a gas surplus this year. The deal with Israel will help it attain its goal of becoming a gas hub. In the short run, it will help it meet its gas demand before the Zohr field starts production in 2019. Noble and Delek have been struggling to find buyers for their gas in the wake of anti-monopoly proceedings the Israeli government instituted against them. So far, they have managed to find buyers for only part of the production capacity in two fields: Israeli energy companies, the Jordanian Power Company and the Palestinian Power Company. The consortium has been planning to start first-stage production from the Leviathan field in 2019. But it had contracted to sell only half of the first-stage capacity of 5.7 billion cubic meters before the Egyptian deal took place. It was crucial that it contract for the remaining volume before beginning second-stage development. Natural gas is both an economic and geopolitical commodity. This means that any transnational gas deal contains trappings of geopolitics. There are ongoing maritime disputes over natural gas rich territorial waters between Cyprus and Turkey, as well as between Lebanon and Israel. Although the Israel-Egypt gas deal was signed between companies and not governments, it is hard not to mix business and political interests in cross-border infrastructure projects. This is especially true in a region as tumultuous as the Middle East. Recent energy discoveries in the eastern Mediterranean basin have certainly brought new dimensions to the geopolitical arena, but in the case of the Israeli-Egyptian gas deal, there are more signs that it’s a convergence of business interests between sellers and buyers than it is geopolitics. Natural gas is both an economic and geopolitical commodity.